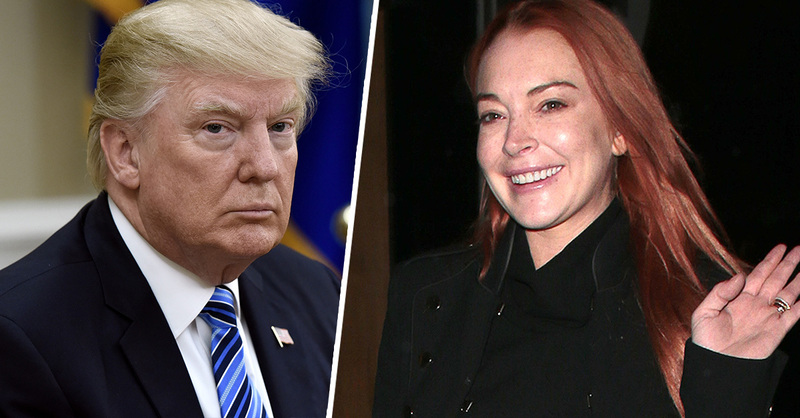 Lindsay Lohan has offered legal help to President Donald Trump amidst the ongoing Russia investigation. What, like it’s hard? The “Mean Girls” star was recently minted as the spokesperson for Lawyer.com – a website that connects customers with local attorneys. Her partnership with the company has seemingly ignited an Elle Woods-esque passion for the law, as she is now offering legal help to the president. Following reports that President Trump is having difficulty finding legal representation for the on-going Russia investigation, the 31-year-old actress reached out to him via Twitter on Wednesday. “Hey, @realDonaldTrump heard you need a lawyer… at http://Lawyer.com we are always here for everyone ;),” she cheekily wrote. Lindsay’s new gig has reportedly also landed her an invitation to speak at Harvard Law’s graduation commencement ceremony. “Who needs Hollywood when you have Harvard Law?” she ends the vid, winking to the camera. Is Lindsay now a deputy of the law? Shut up!